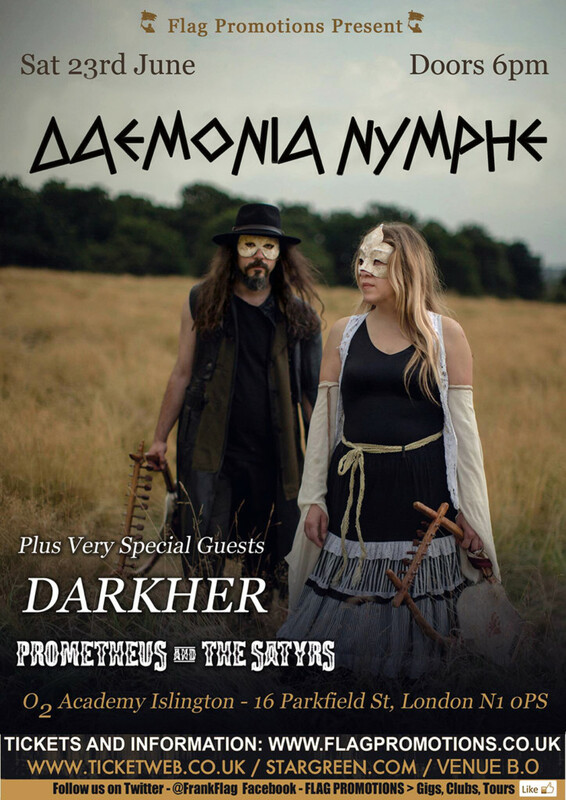 Daemonia Nymphe return to London after three years,on Saturday 23 June 2018 at the O2 Academy Islington, with some amazing guest musicians with whom they have worked together, recording albums, performing around the globe , doing theatre, composing and producing music and art. Ten years in London, twenty years since their first vinyl album was released (“The Bacchic Dance of the Nymphs”) all in one concert, their biggest concert ever! !